Online applications are invited form the candidates willing to work in mission mode for engagement on contractual basis in the following posts in different programmes under NHM, Assam. 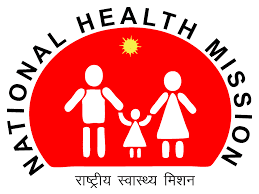 Candidates have to apply online in the NHM, Assam website www.nrhmassam.in . 1. Name of Post: District Programme Officer, NCD. Qualification & Experience: MBBS Degree from a Govt. recognized Medical College and registered with Medical Council of India (MCI)/ Assam Medical Council. Qualification & Experience: Retired Chief Engineer (Civil)/ Additional Chief Engineer (Civil) from any of the works department of Govt. having good knowledge of building works (Execution & Supervision), preparation of estimate for building, national bidding process, building code of practice etc., giving sound health capable fo traveling within the state. Qualification & Experience: Refer to the official advertisement. Qualification & Experience: MBA, Post Graduate Degree/ Diploma in Management/ Rural Management/ Social Work/ Rural Development from Govt. recognized institution. Minimum 3 years experience in relevant field. Qualification & Experience: A bachelor in Audiology & Speech language Pathology/ B.Sc. (speech and hearing) from RCI recognized institute. Qualification & Experience: BDS Degree from a recognized Dental College and registered with Assam State Dental Council. Qualification & Experience: Retired Senior Audit Officer/ Audit Officer from Office of the Principal Accountant General (Audit), or Retired Deputy Director of Audit from the Directorate of Audit (Local Fund). Qualification & Experience: Diploma in Civil Engineering from any recognized Polytechnic/ Institution with minimum aggregate of 60% marks. Persons having minimum 3 years experience in building construction and fully convergent with measurement of building works including payment procedures. Retired persons form Govt. Department as Junior Engineer with above experience and sound health condition may also take part. High proficiency in written and spoken English and Assamese. Qualification & Experience: A technical person with 1 year diploma in hearing language and speech (DHLS) from a RCI recognized institute. The audiometric assistant will provide support to CHC in screening of HI persons. Qualification & Experience: Diploma in training young deaf and hearing handicapped (DTYDHH) from RCI recognized institute to look after the therapy and training of the young hearing impaired children at the district level. Qualification & Experience: B.Sc. Biotechnology with DMLT or B.Sc. Microbiology with DMLT or B.Sc. with DMLT or equivalent from Govt. recognized institution, Two years of work experience in related field. How to Apply: Candidates have to apply online in the NHM, Assam website www.nrhmassam.in. Form more information you can download the official advertisement from below.